How Far is Pooja Iris? 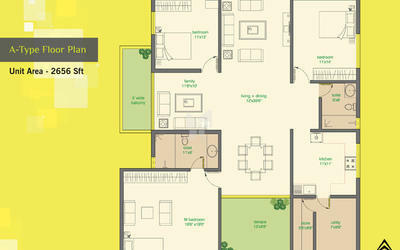 For those who dream with a passion for the extraordinary, Pooja Ventures IRIS will not disappoint. IRIS spread over 5744 square yards of land. Located in Ashok Nagar, it is well connected to all major destinations of the city. It is set in the commercial area of Hyderabad. IRIS is an example of sound construction, high amenity value and a quality lifestyle. Good Quality Table molded Cement/ fly ash Bricks with cement mortar. Western style wall mounted porcelain EWC of Parryware/Kohler or equivalent in all bathrooms. Porcelain basins of Parryware/Kohler or equivalent make in all bathrooms. Overhead showers of Jaquar or equivalent make in all bathrooms. All faucets shall be CP of body metal fittings of Kohler or equivalent make. Hot water connection shall be provided to the shower and wash basin in each bathroom and to the sink in the kitchen. All water supply lines & drainage lines shall be in CPVC/UPVC pipes. All door frames shall be teakwood. All window frames and shutters shall be of UPVC or Equivalent. All door shutters shall be in solid core flush shutters provided with a natural wood veneer. All hardware shall be in stainless steel. All wiring shall be of Havells or equivalent make. Back – Up Power provided to the entire unit, Up to a limit of 02 KVA per Unit. Smooth Finish of acrylic emulsion paint over Birla or equivalent cement based.